In January, many people turn into tennis aficionados as the Australian Open gets underway, with audience interaction playing a major role. Infosys was awarded the strategic opportunity as the Australian Open official digital innovation partner in September, and to kick off the first year of a three-year deal, the integrator is serving up a series of big data and analytics, artificial intelligence (AI), virtual and augmented reality experiences. As part of the partnership, Infosys and Tennis Australia conducted design workshops and many concepts for more immersive experiences for the Australian Open were explored, prototyped and tested. “Together we prioritised and selected several for implementation for January 2019 AO,” an Infosys spokesperson said. As more than 500,000 attendees are expected to pour through the gates at the Open, they have the opportunity to immerse themselves in the world of tennis through visiting an Infosys Fan Zone, where they experience playing against a professional tennis player through a virtual Rod Laver Arena. They can also watch the tennis action live on court using a virtual reality headset as well as shop for merchandise and clothing through the official AO virtual reality stores. Viewers at home and on-site can also engage with the tournament through Match Beats, which provides valuable data insights such as understanding how the match flowed, and where players were serving and returning better. MatchBeats is built on the AWS platform, using PostgreSQL as the database, and pulls the data from sports media technology (SMT) to capture the rallies and information about the game, plotting the information visually. “We have built high availability into MatchBeats, if one server is not performing then the application will seamlessly switch to another server,” the Infosys spokesperson said. Furthermore, the Infosys AI Clips provide a recap video of matches showing key highlights in near-real-time, shared on social media. AI Clips uses an Infosys’ developed AI program to help detect the match score and synchronise it with SMT data to create the timing of the clips. Infosys developed a web application with the provisioning to select different combinations of filters and generate the clips, which is hosted on the AWS platform. Prior to using AI Clips, the tech the team behind the Australian Open would have to do this all manually. “This is a self-service application that Tennis Australia media analysts can leverage to preview, generate, delete, modify and join the clips together to create a highlights package of a match,” the spokesperson said. The integration process for implementing MatchBeats and AI Clips, were completed within three months with the virtual reality projects took one month to complete. 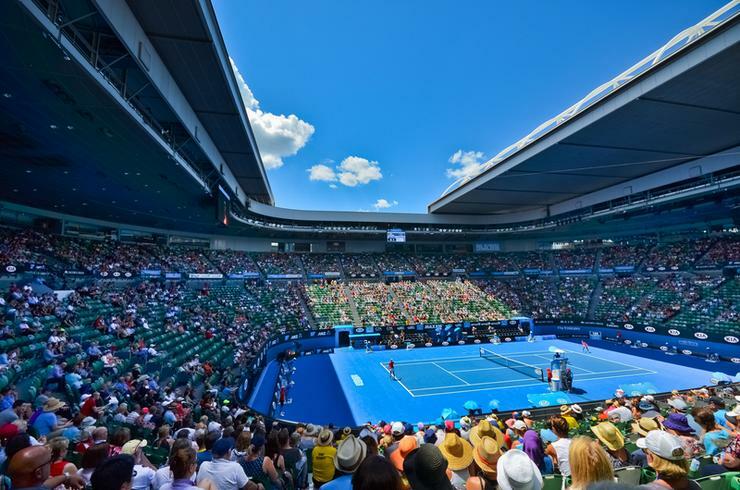 Infosys engaged global expert teams across the US, China, India and Australia, to deliver the products within a short span of time for the Australian Open.